What makes them “perfect” you’re probably wondering? Well there couple of things that contribute to my perfect batter. 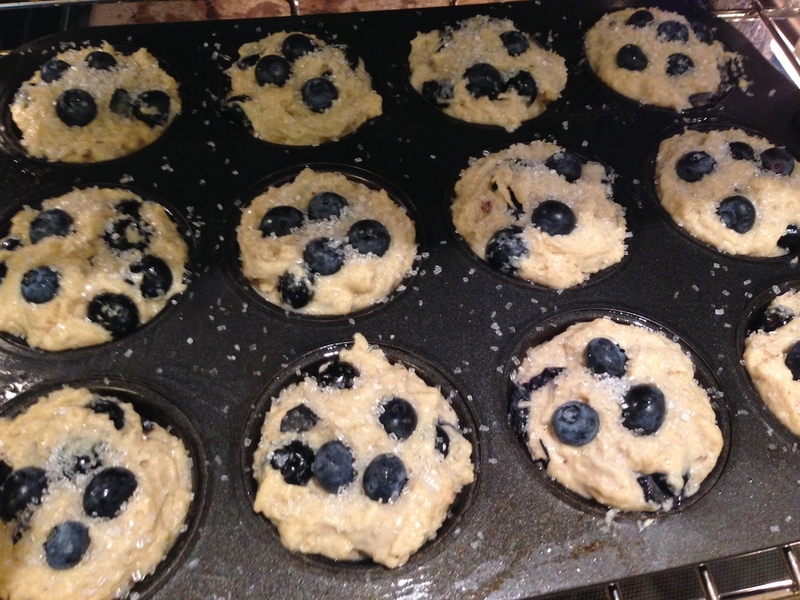 First, using all fresh blueberries. 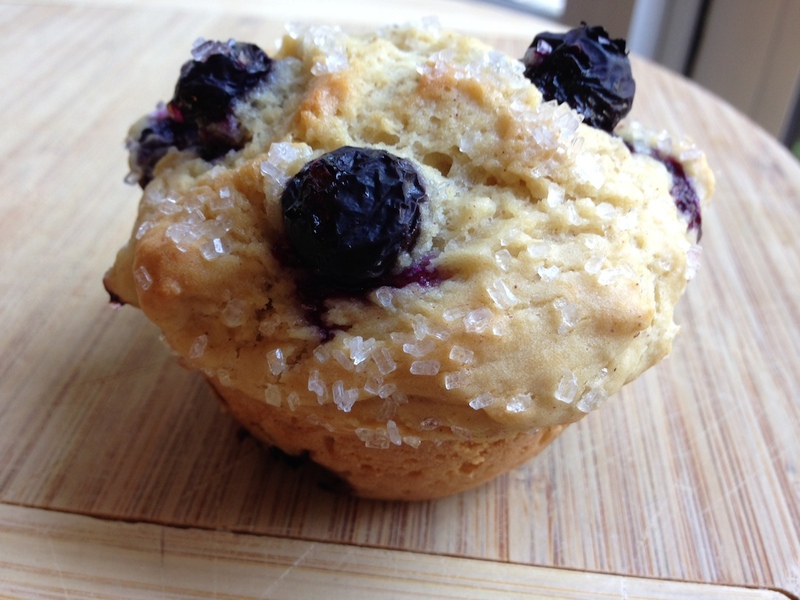 A lot of store bough muffins use blueberry flavored jelly balls, and you can really taste the difference when a muffin has real berries. I also use a bit of cinnamon and nutmeg in the batter to give it a subtle spiced flavor. 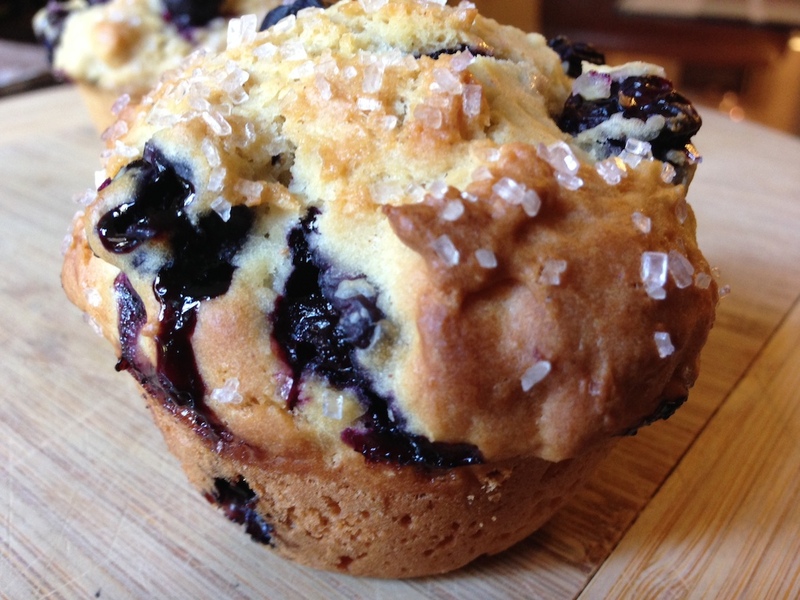 And the most important part of a perfect looking blueberry muffin? Coarse sugar (aka decorating sugar). You can get it at most grocery stores, or order from Amazon. 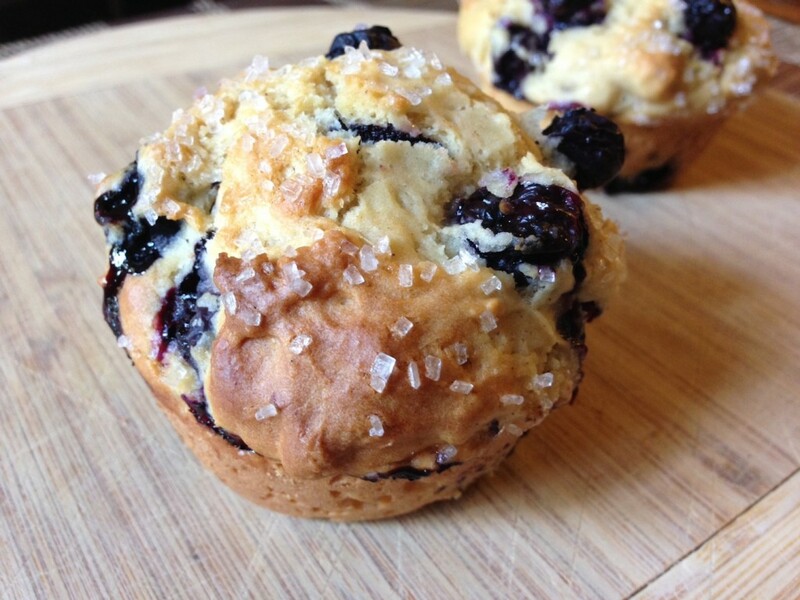 It’s not very expensive, but gives baked goods a really elevated look. 1. 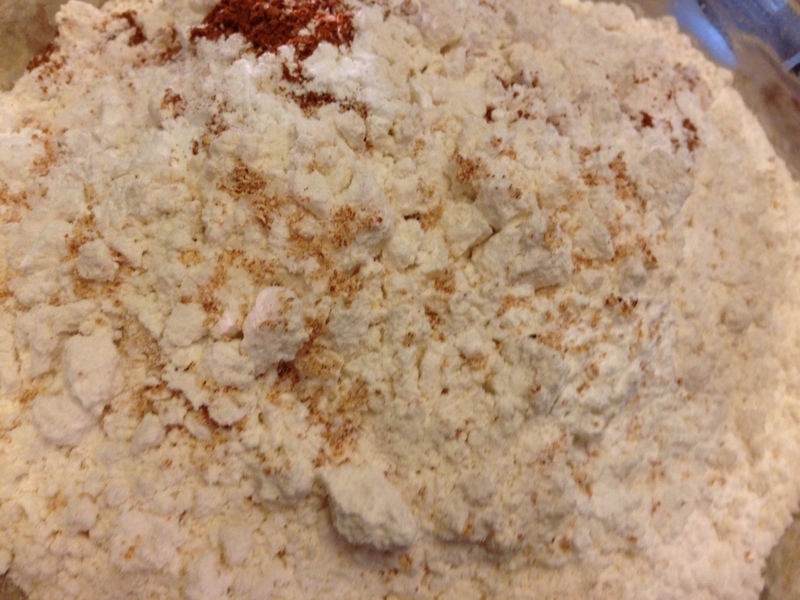 Combine first 8 dry ingredients in a bowl. 2. In a different bowl, whisk eggs and sugar, then add buttermilk, olive oil, water, and vanilla. 3. Pour wet mixture into dry ingredients and whisk gently. Add another splash of water if necessary to form a nice batter. 4. 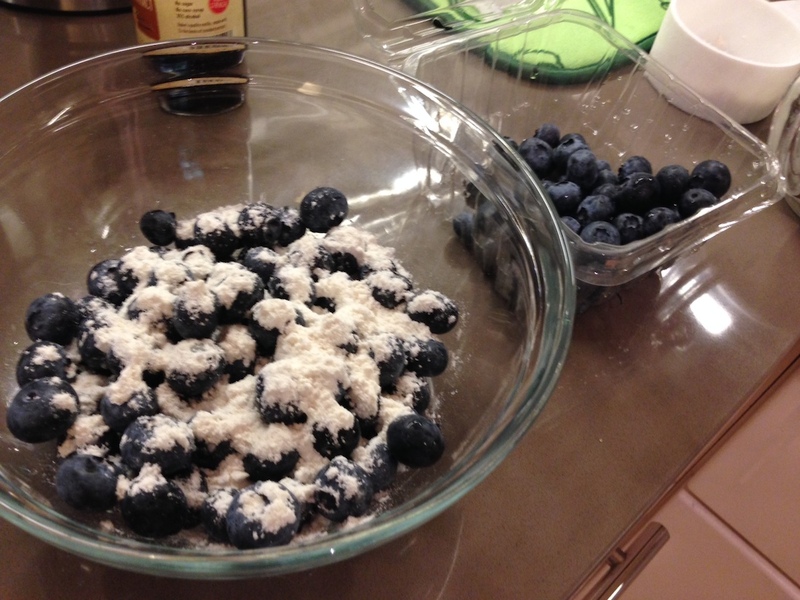 Set aside a handful of blueberries, then sprinkle the rest with a bit of flour. 5. 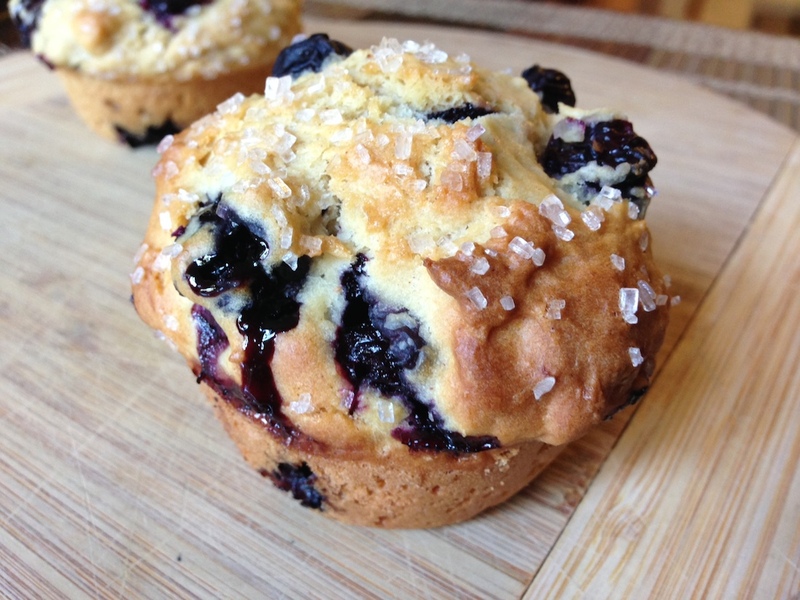 Toss floured blueberries into batter then divide into 12 pre-greased (or paper lined) muffin cups. 6. 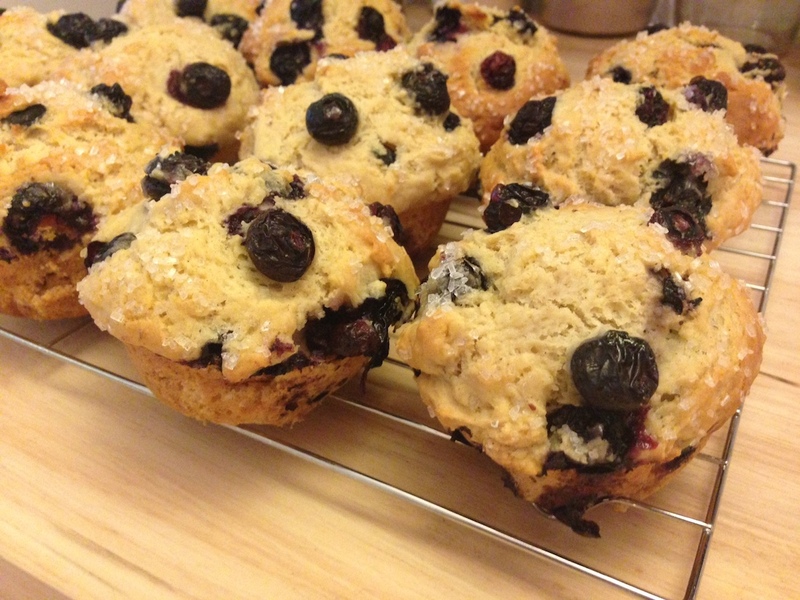 Take the spare berries that you’d set aside, and push them into the tops of the muffins. 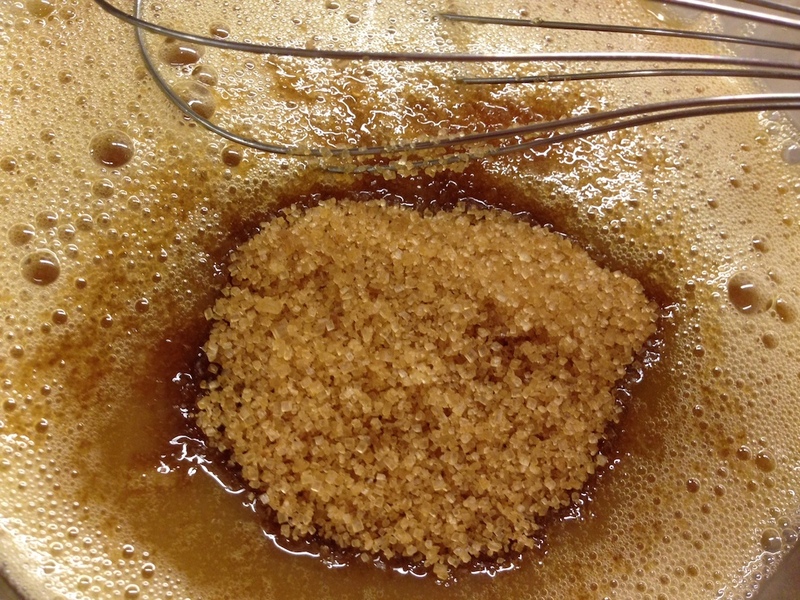 Then sprinkle heavily with coarse sugar, this will give them a great looking top. 7. 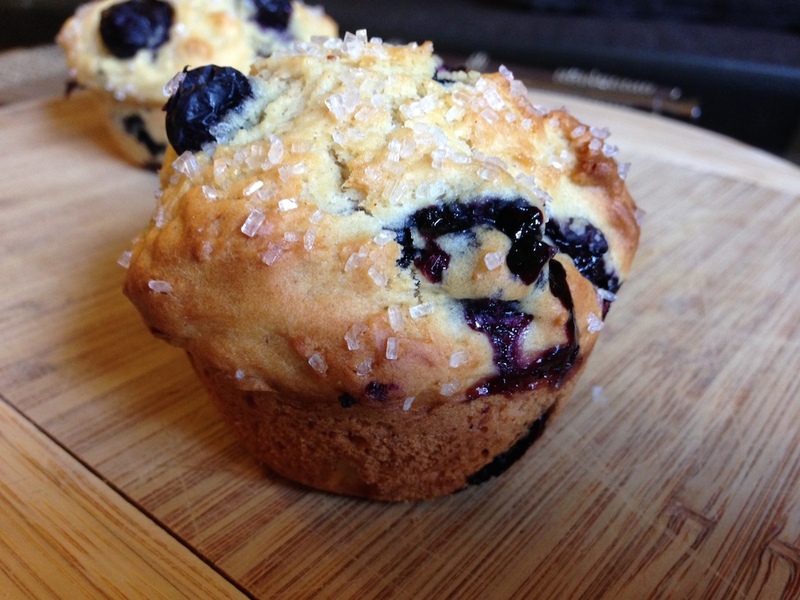 Bake at 375 degrees for 27 to 32 minutes or until the tops are browned and crunchy. 8. Let cool on a rack. Then enjoy!